Memorials that honor Civil War participants exist in numerous Mississippi communities, with the vast majority erected in homage to the Confederate cause. Most monuments are found on battlefields, in cemeteries, and on courthouse lawns or public squares. The single largest site for memorials is within and near Vicksburg National Military Park. After Congress established the park in 1899, efforts to accurately mark troop positions and honor participants in both armies resulted in the erection of an astonishing array of battlefield monuments—more than 1,320 state memorials, unit monuments, markers, plaques, statues, busts, and reliefs. 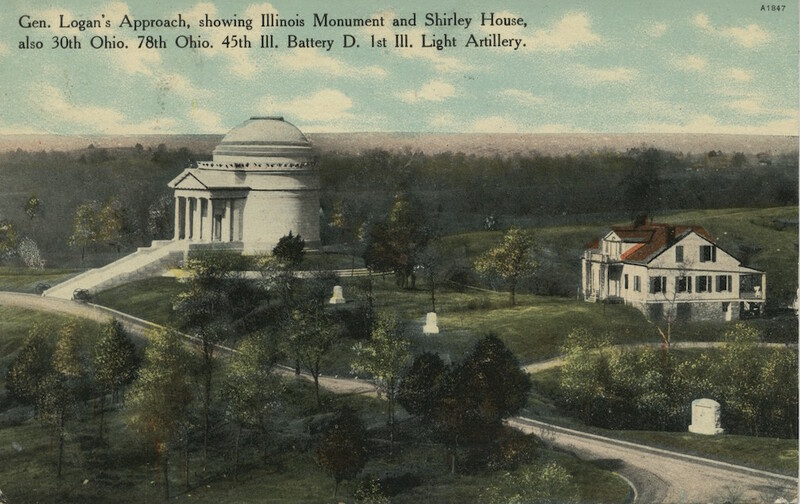 Among the most imposing of these monuments is the Illinois State Memorial, dedicated in October 1906. Modeled after the Roman Pantheon, the memorial contains bronze tablets bearing the names of all 36,325 Union participants from Illinois. Former Confederate states likewise commemorated their soldiers. 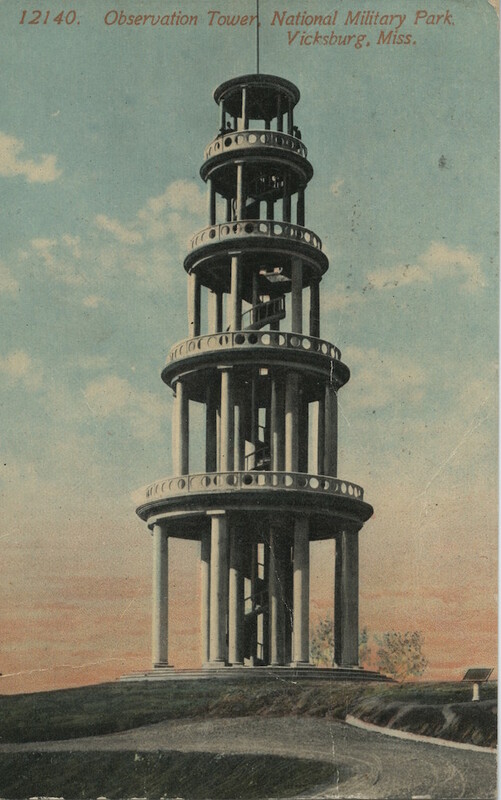 The Mississippi State Memorial, dedicated in 1909, soars seventy-six feet into the air and is constructed of granite. Bronze figures depict the actions of Mississippi troops during the siege, while a statue of Clio is perched at the monument’s front. Elsewhere, an equestrian statue of Ulysses S. Grant honors the conqueror of Vicksburg, while a dramatic Confederate memorial depicts the moment when Gen. Lloyd Tilghman received a mortal wound at Champion Hill. While Vicksburg represents the pinnacle of Civil War memorialization efforts in Mississippi, monuments in individual communities symbolize efforts to recognize units and men from those locales as well as the Confederate experience. Immediately after the war, political turmoil and the general impoverishment of the state prevented most communities from recognizing their veterans with a monument. When monuments later began to appear, they were generally placed in cemeteries and were relatively modest obelisks. Such monuments are found in cemeteries at Baldwyn, Booneville, Brookhaven, Canton, Columbus, Crystal Springs, Hernando, Holly Springs, and Meridian. A monument at Woodville features a draped cloth reminiscent of a shroud. Placing monuments in the midst of Confederate dead conveyed the sense of loss felt by many Mississippians. The shift toward more ornate memorials coincided with a monument-building boom between 1885 and 1915, the era when most local monuments were erected in Mississippi and in other states. An intense interest in the Civil War in this period coincided with the solidification of the Lost Cause ideology. Commercial firms vied for contracts to erect monuments, solicited business from chapters of the United Confederate Veterans (UCV) and United Daughters of the Confederacy (UDC), and extolled successes in advertisements in Confederate Veteran magazine. 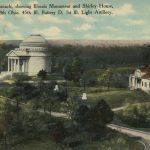 John A. Stinson of the Columbus Marble Works obtained contracts for several monuments in the state. The monuments represented a considerable investment from individuals and groups. Raising money to erect a memorial often took years and involved numerous fund-raising schemes, the vast majority of them undertaken by UDC women. These efforts constituted a socially approved outlet for women’s energies and talents, and speakers at dedication ceremonies fittingly extolled these women’s crucial role in the projects. 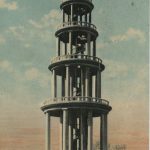 By the 1880s and 1890s women played key roles in memorialization efforts and in selecting monument designs. Those designs became more elaborate, usually including a statue of a Confederate soldier, almost invariably at parade rest, atop a marble or granite pedestal. 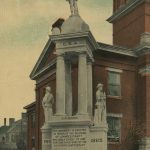 Monuments increasingly appeared in highly visible public venues such as courthouse squares. Many towns, among them Columbus and Meridian, that had previously erected monuments in cemeteries added one in the heart of the community. The Columbus monument, dedicated in 1912, features three soldiers and forms a striking adornment to the backdrop provided by the Lowndes County Courthouse. Other multifigure monuments were erected in Greenwood, Hattiesburg, Heidelberg, Laurel, West Point, and Yazoo City; those in Belzoni and Poplarville jointly commemorate Confederate men and women as well as veterans of World War I. Holly Springs placed a second monument in a more prominent part of Hillcrest Cemetery. The monument features two soldiers on either side of the monument with arms grounded. The New Capitol in Jackson has the Monument to Women of the Confederacy, which is identical to a monument in Nashville, Tennessee. The Confederate Veteran reported glowingly on similar ceremonies in scores of Mississippi communities. In each case, speakers lauded both the Confederate veterans and the women who toiled so diligently to build the monuments. By 1900 time was winnowing the ranks of the Civil War generation, and monuments were perceived as a means of permanently enshrining the Confederate cause. 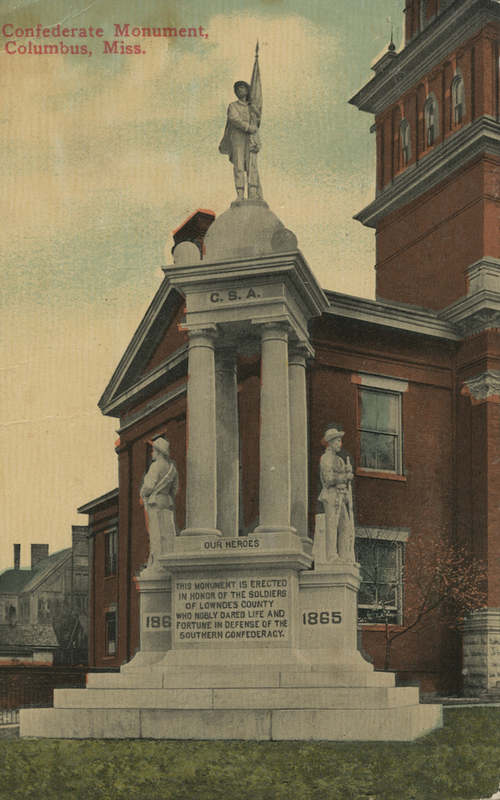 A Confederate monument erected in 1908 in Lexington was explicitly dedicated “To the Holmes County soldiers of 1861–65 and members of Holmes County Camp, No, 398, U.C.V., in memory of their patriotism and heroism, and to commend their example to future generations.” This monument also reflected unrepentant Lost Cause ideology with an inscription declaring, “The men were right who wore the gray, and right can never die.” The twin themes of honoring local Confederate veterans and defending southern honor appear on the vast majority of monuments erected after 1900. Less explicitly, the ceremonies also buttressed white supremacy. One of the state’s most unusual monuments reflects the paternalism of some former Confederates toward their erstwhile slaves. In Canton, William Howcott of New Orleans dedicated a monument to the slave who accompanied him during the Civil War, Willis Howcott, “a colored boy of rare loyalty and faithfulness.” The seventeen thousand African Americans from Mississippi who served the Union cause have been memorialized in a sculpture dedicated in February 2004 at Vicksburg National Military Park. The African American Monument depicts two Union soldiers and a field hand and evinces modern recognition for the thousands of men who served in US Colored Troops units during the Civil War. By extension, it also rebuffs the Lost Cause ideology reflected in the many Confederate monuments scattered across the state.